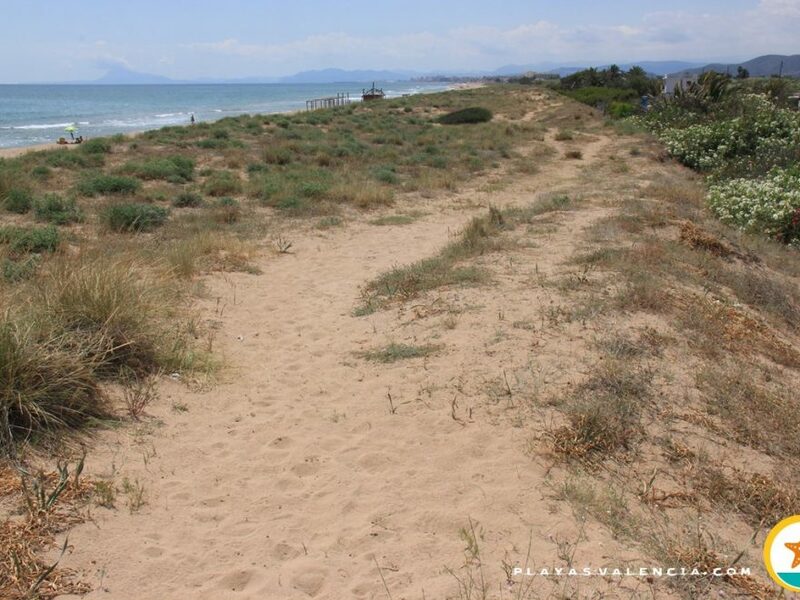 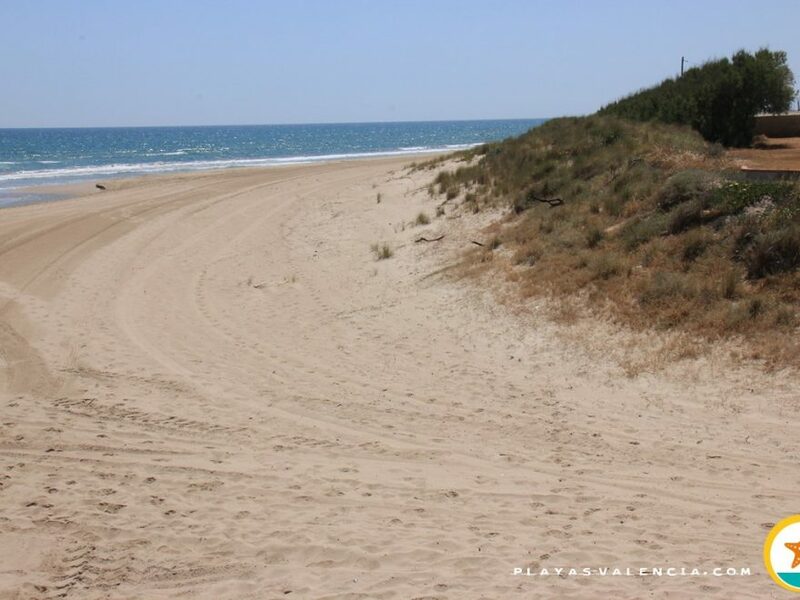 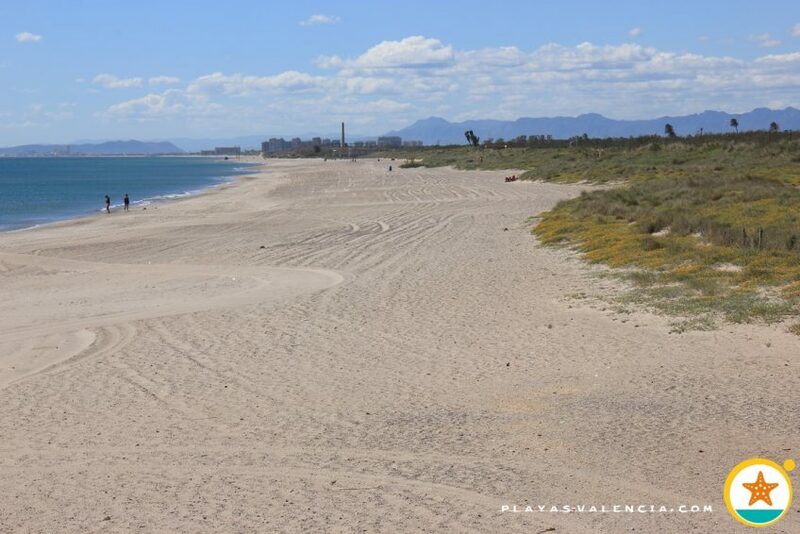 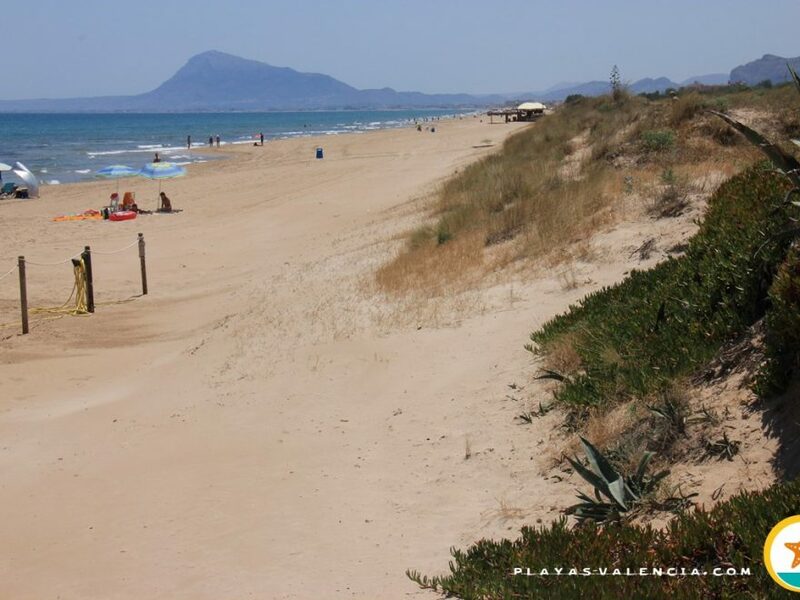 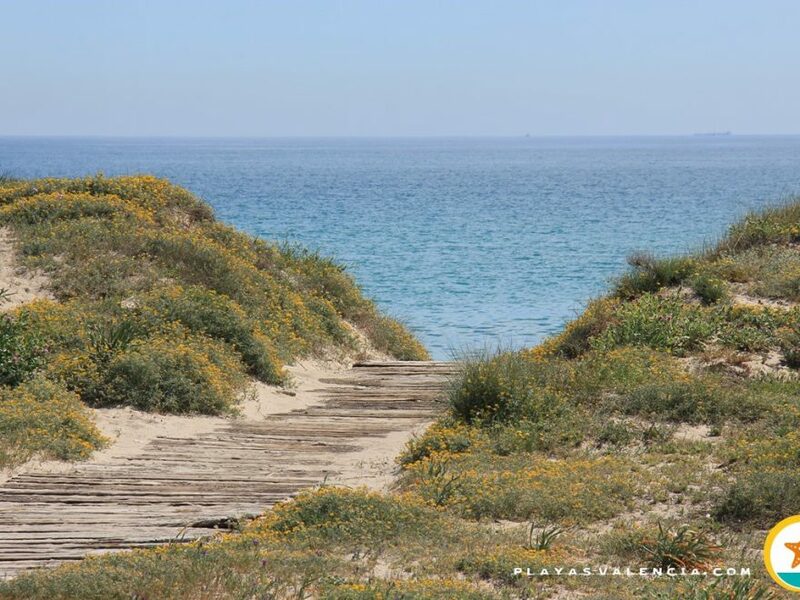 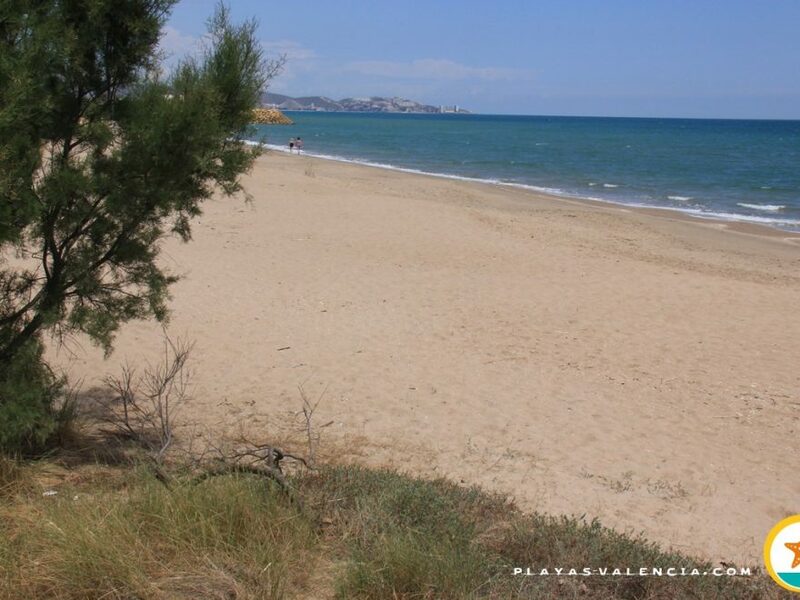 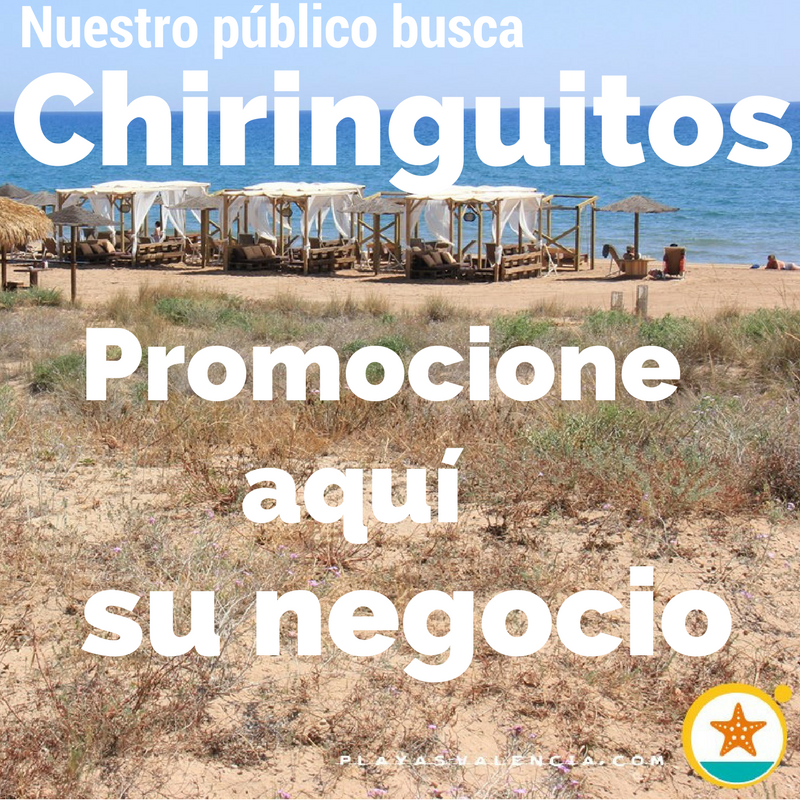 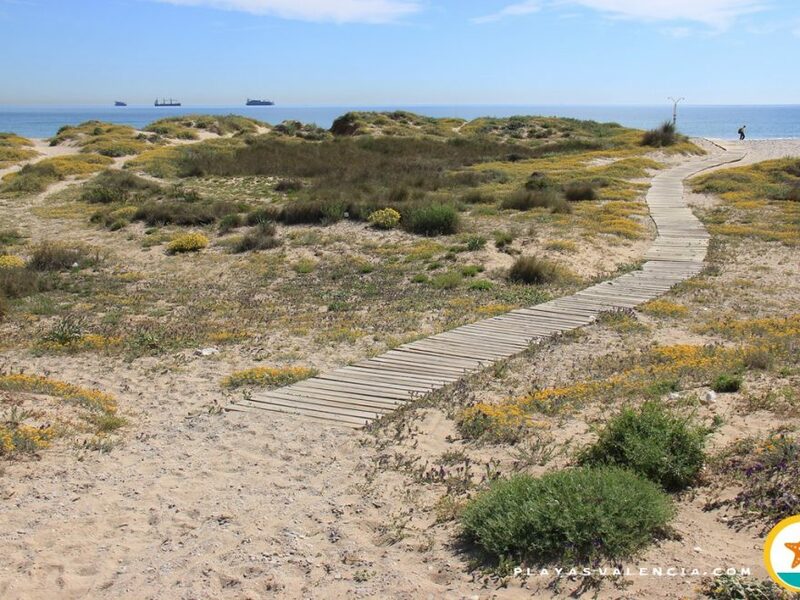 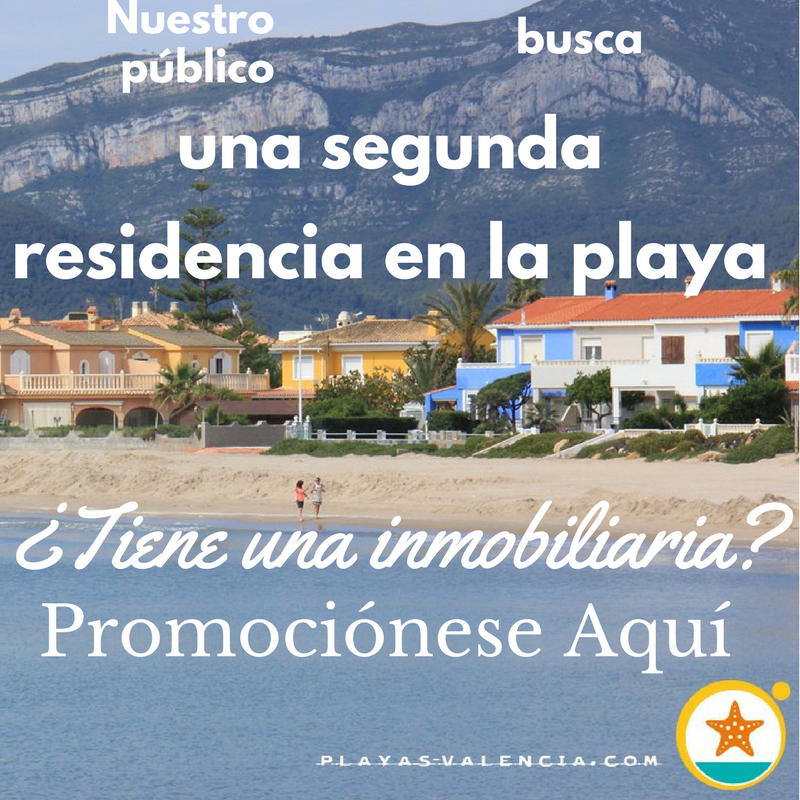 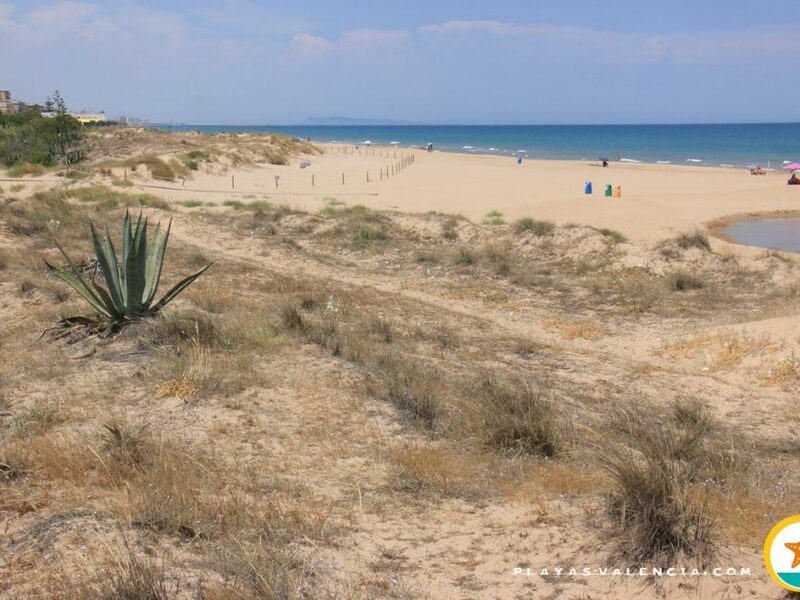 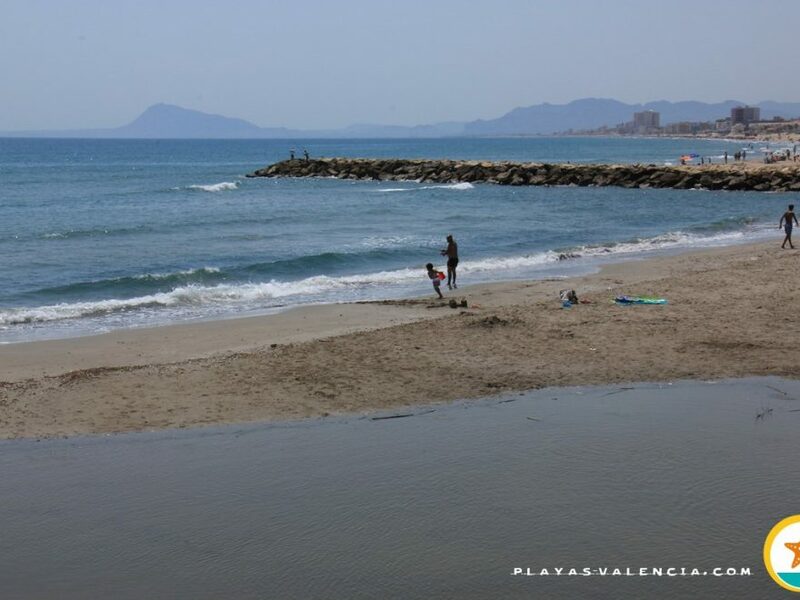 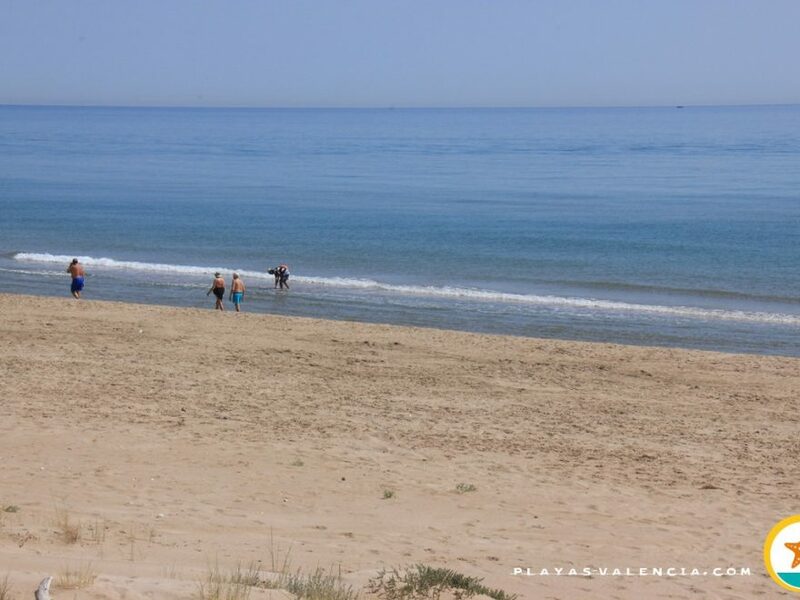 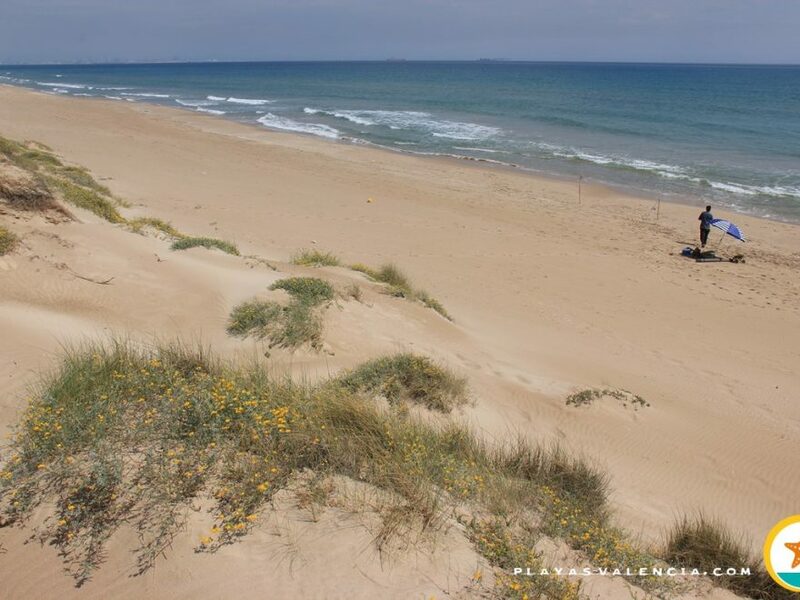 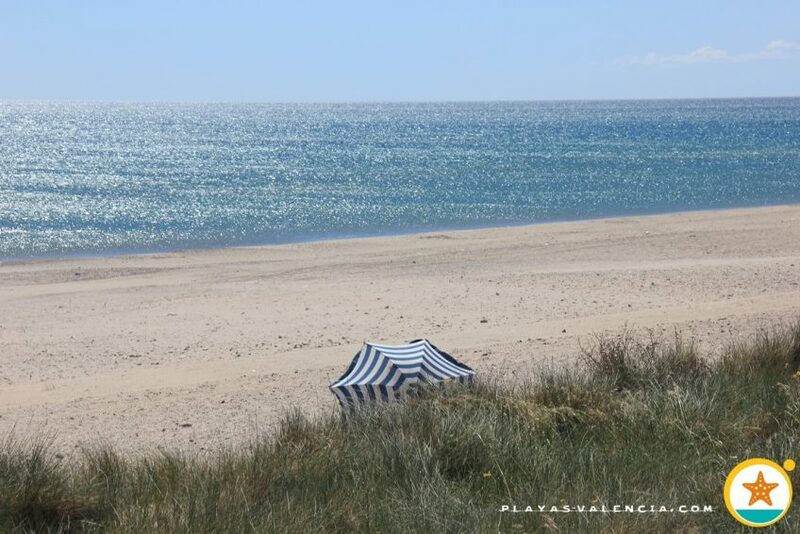 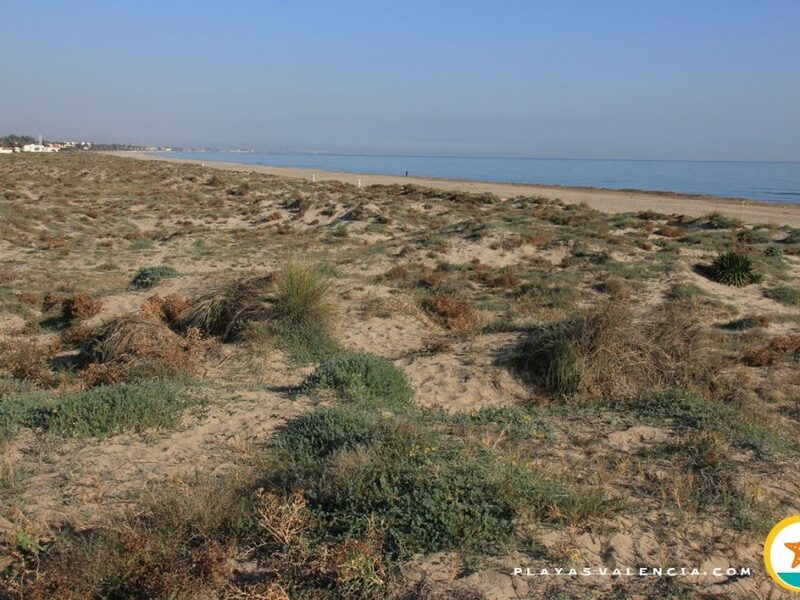 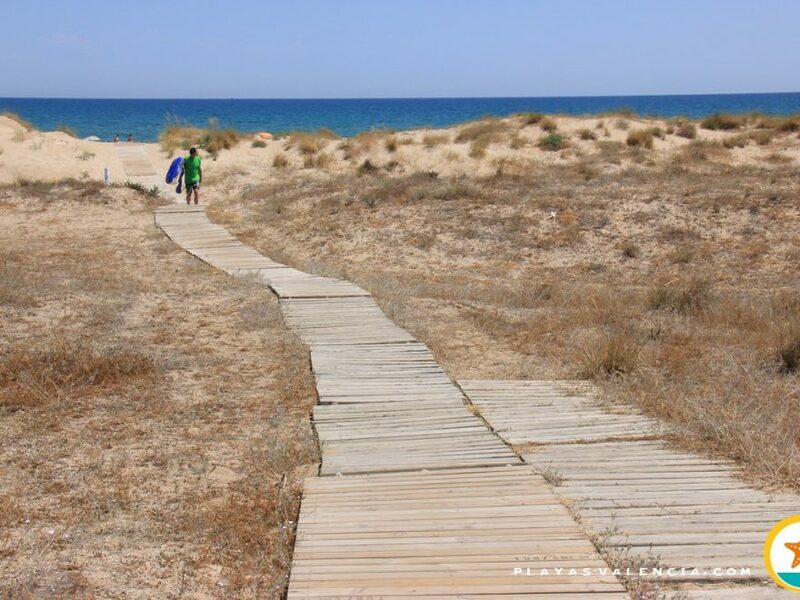 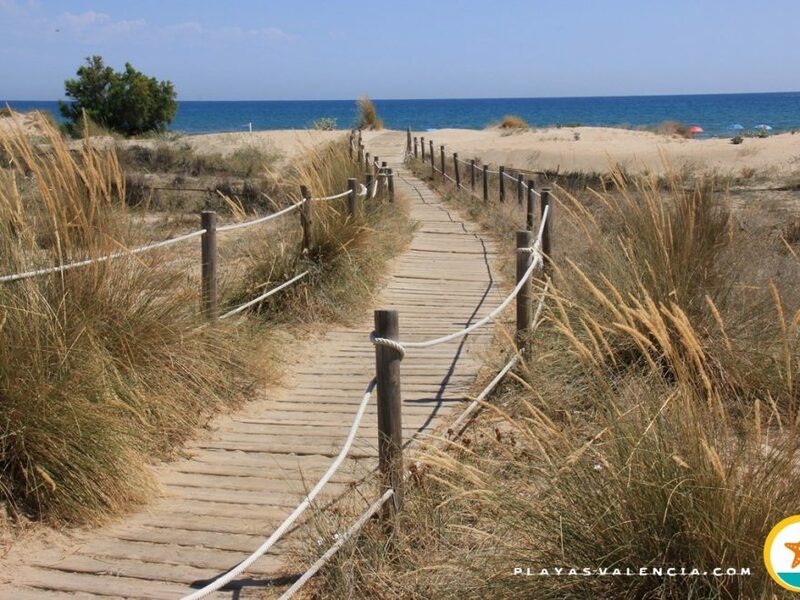 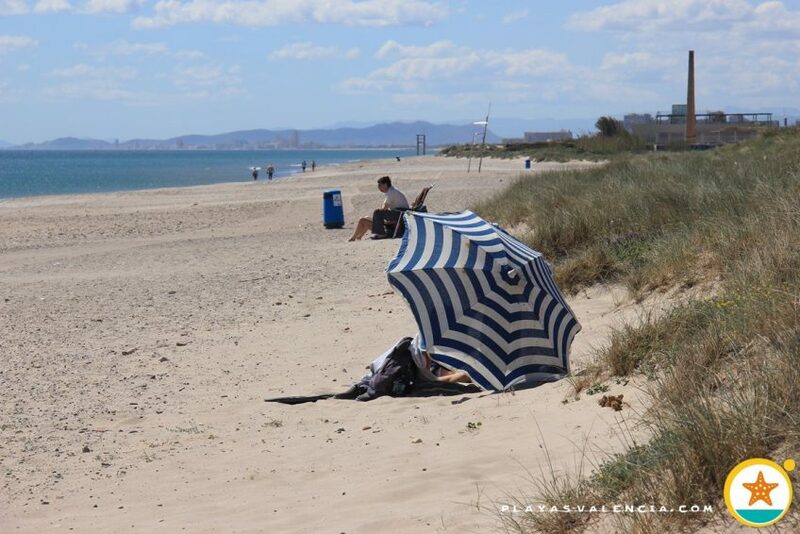 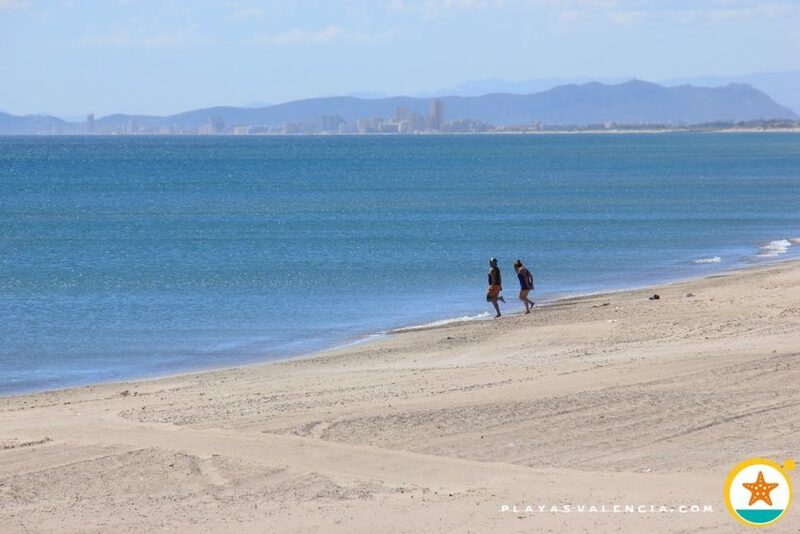 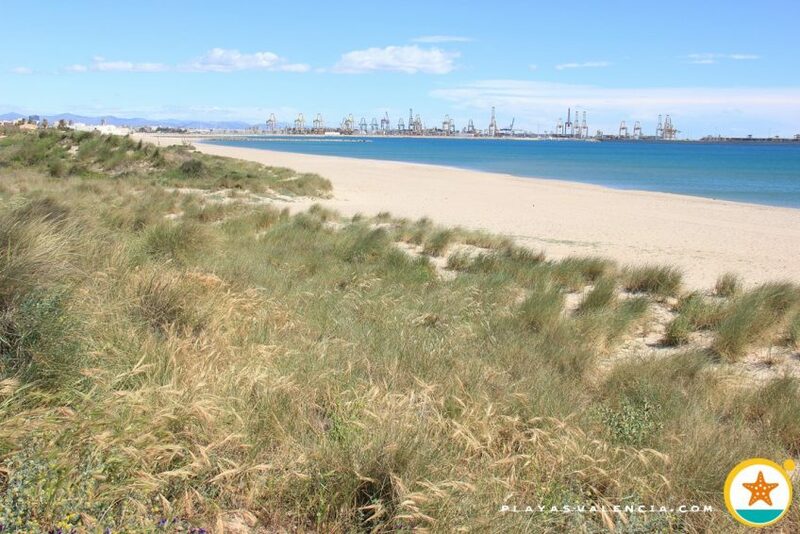 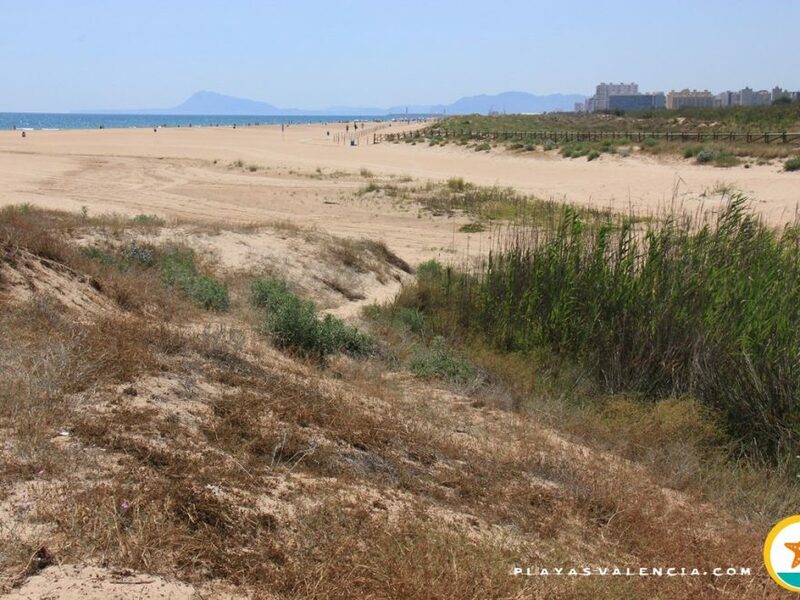 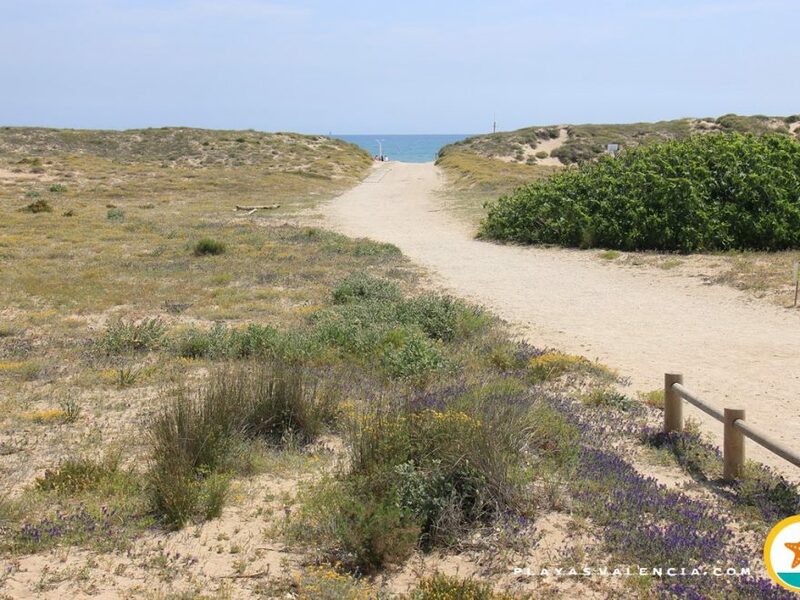 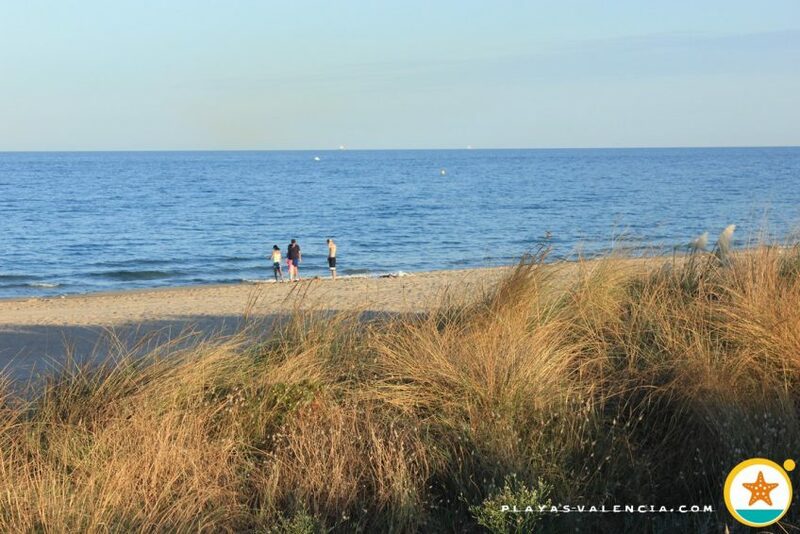 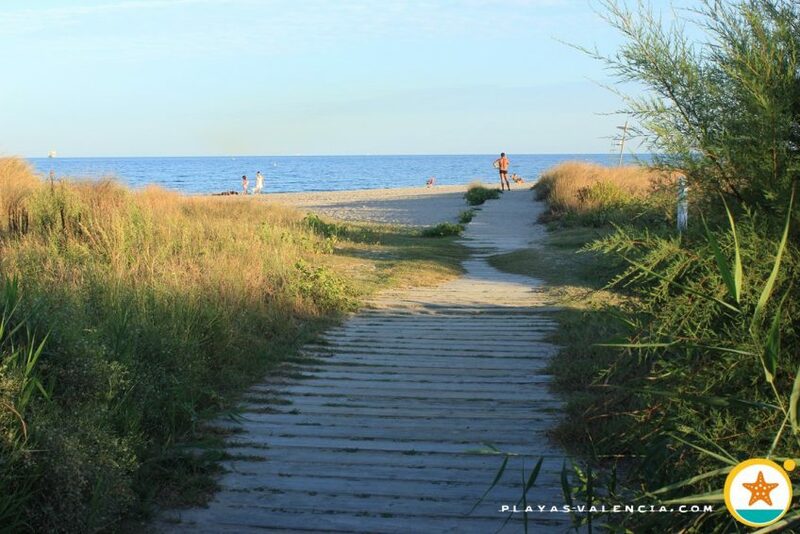 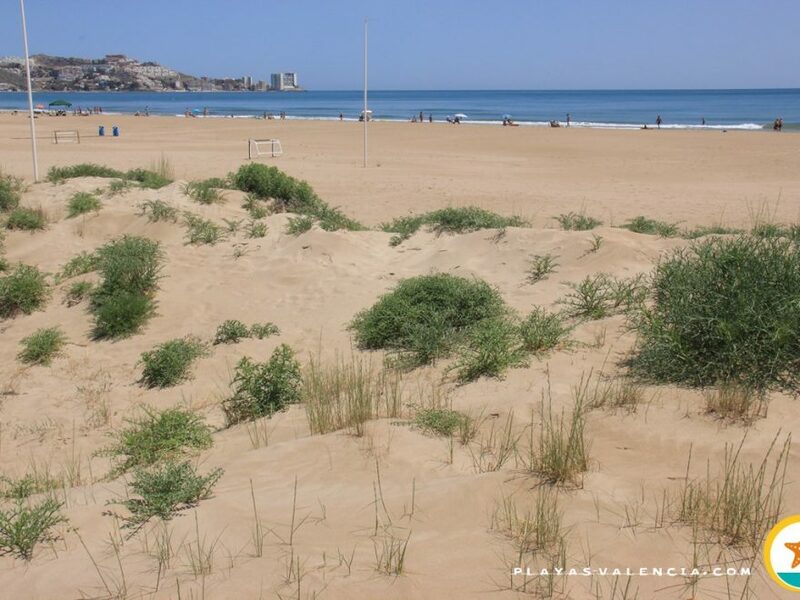 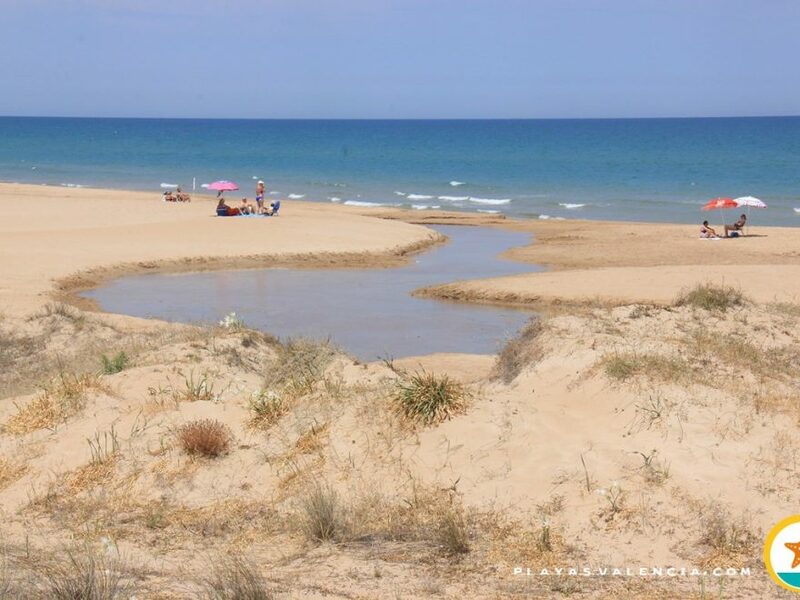 At the south of the Pinedo borough and as a foretaste of the dune and pine landscape of El Saler, we encounter this beautiful beach. 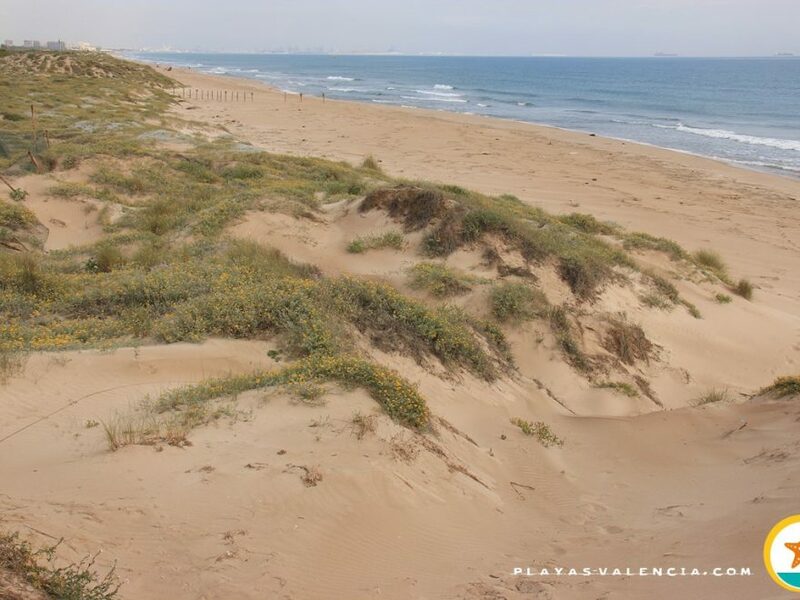 Provided with a very pleasant promenade and numerous parking spaces, its ridge of dunes produces a joyful sensation of isolation. 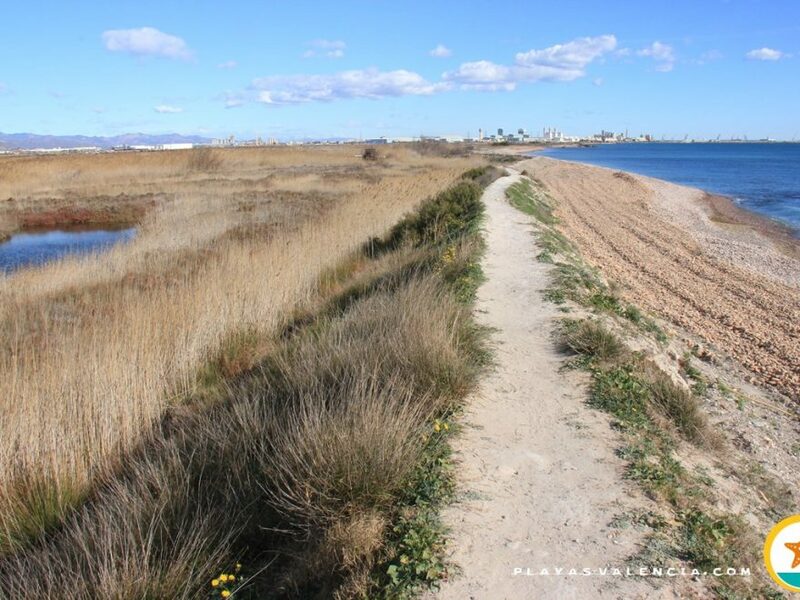 The adjacent still-cultivated land and non-evasive urban amenities (rustic style), along with the landscape and civil population (mainly family orientated), makes it very appealing throughout the whole year.